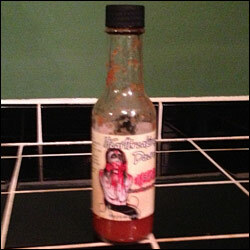 Today I am reviewing Heartbreaking Dawns 1841 Hot Sauce. Last October I attended the Weekend of Fire in Ohio and tried out some hot sauces including this one. So I asked Johnny McLaughlin of Heartbreaking Dawns if I could take some home to try it out and review. And so I did.